This beautiful holiday home with pool is located in the Dalmatian hinterland, in the small village Tugara and is ideal for a relaxing family holiday in a natural environment. 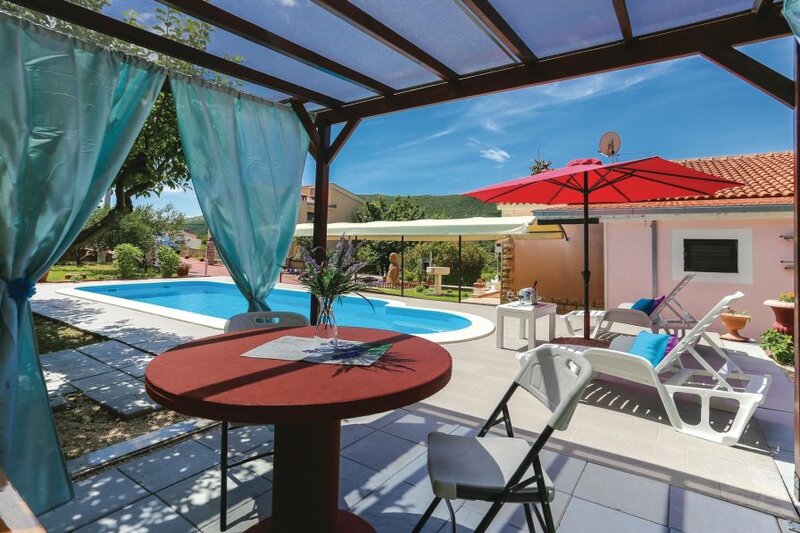 This beautiful holiday home with pool is located in the Dalmatian hinterland, in the small village Tugara and is ideal for a relaxing family holiday in a natural environment. It is just a few kilometers away from the sea and the beaches. Furthermore, the surroundings is suitable to hike and climb. The simple and functionally furnished holiday house extends over two floors and consists of a kitchen with living room and exit to the covered terrace with barbecue. 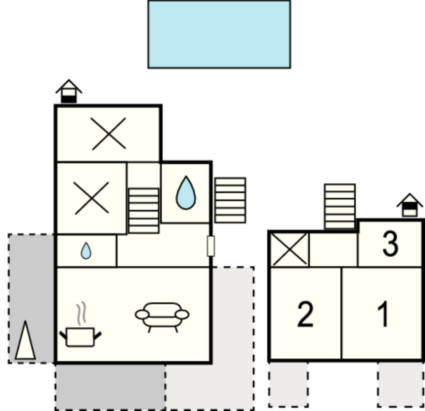 The bedrooms are upstairs while the bathroom is on the mezzanine floor. On the back of the house is the well kept garden with pool area. Visit the town of Omiš and let yourself be inspired by entertainment, cultural and sports opportunities such as rafting and zip line. This villa is made from brick or stone and was originally built in 1980 and refurbished in 2000. The agent has rated it as a three star property so it is a well-kept villa, equipped with standard furniture. It is also good value for money. This villa has a swimming pool and is located in Tugare, only 4.5km from Omis. It is set in a good location, 3.3km away from a stone and pebble beach. There's also a restaurant 4.5km away.